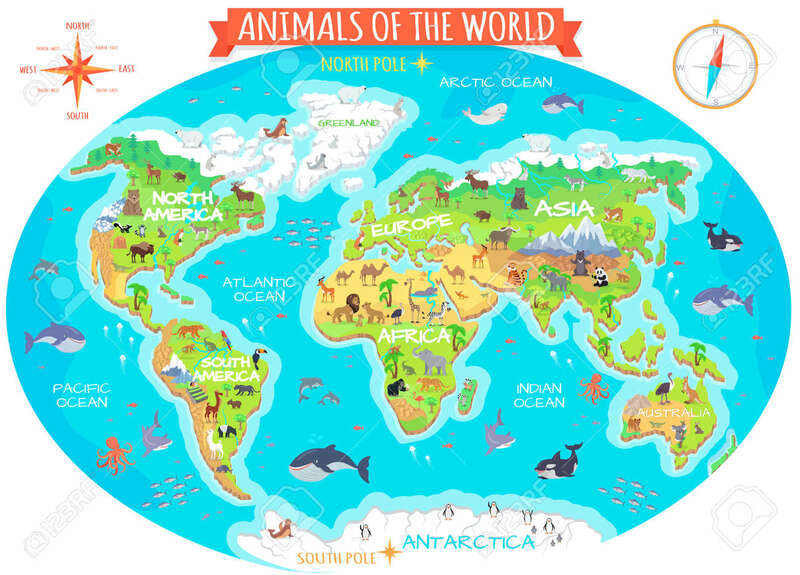 Animals Of The World Vector. Flat Style. World Globe With Map Of Continents And Different Animals In Their Habitats. Northern, African, American, European, Asian Fauna. For Children S Book Design Royalty Free Kliparty, Vektory A Ilustrace. Image 67675774.